Chief marketing officers (CMOs) manage the marketing operations of an organization and work towards improving the brand. He/She makes marketing strategies to improve the reputation of brand product or services. 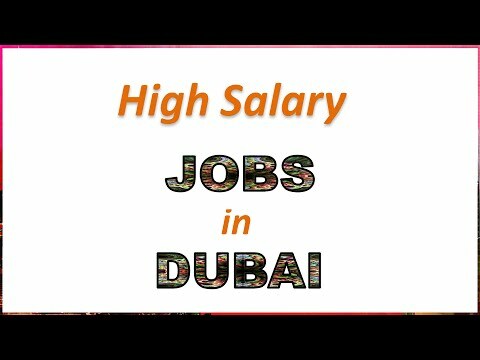 CMO jobs are very demanding and highest paid jobs in Dubai in terms of salary. Minimum qualifications would be a university degree in marketing, sales or similar and experience in managing a firm. Chief financial officers (CFO) rank high on the pay scale because they are key trusted strategic adviser of an organization. CFO make risky decisions on risky issues of profits, investments, finance, accounting and delivering shareholders.The key to become a successful CFO is to have a passion for finance, accounting and delivering shareholder value. “You can’t be afraid of making the tough, and of course being your own man. CFO qualifications may include Economics and Accounting Majors and experience of handling is most important. Chief legal officers is prime post in Companies to handle their legal requirements to protect the business from a legal and compliance perspective. He counsel all legal contractual issues and legal agreements, along with ensuring that the company is limited from any forms of legal liability. The position requires a law degree with the right legal qualification. Typically a minimum of eight year experience is needed. There are variety of doctors have high rank like Specialist neurologists, vascular surgeons, child psychiatrists/psychologists, heads of obstetrics and gynecology are demanded. Highly qualified and experienced persons from well recognized universities and medical colleges of the world. The position requires extensive training and education. consultant in this area is highly valued and highly paid. The time required to become a consultant is minimum eight to ten years of training. Most often are PhD/doctorate holders. Some doctors like cardiologists claim to make more than Dh180,000 a month, but this amount is believed to already include commissions. The VP of the bank is heavily involved in crucial decisions, including long-term large level loans, potential investments that can raise the profile of the bank and the senior level roles within banking are seen as the key decision makers that can transform the image of the bank. Banking jobs provide high range of salaries to qualified and experienced candidates for the jobs. Chief information officers (CIOs), IT directors manage projects involving design, deployment, testing and support of business solutions. The job involves coordinating, setting up of an information technology department; defining policy and procedure, organizing structure and team management. The candidate should have ten to 12 years’ experience in the IT field, he also need to be up to date with the latest technologies. Minimum qualifications include a bachelor’s degree in computer or IT. Head of planning/merchandising head of buying of a retail company is crucial in making decisions the buyer takes can impact the brand or image of the retailer, so it is important that the person holding this position is up to date with the latest industry trends and possesses enough insights into the potential upturns in the customer market. A candidate should ideally hold a degree either in marketing, business studies or retail management. Requirement include career on the shop floor and worked your way up to becoming a buyer. Actuaries are involved with insurance companies. They search various data to know what lies within an event such as the risk a car will crash. Evaluating risks in order to draw up insurance policies to lower the cost of that risk. Becoming a fully credentialed actuary requires passing a severe series of professional examinations of almost seven years.